Indonesian marine habitats are world-renowned hotspots of biodiversity, constituting an immense treasure for the Indonesian people. With about 17,000 islands, the Indonesian archipelago provides ideal conditions for the evolution of a plethora of endemic species. This plethora of marine species affords a vast ‘resource’ that has yet to be screened for its biotechnological potential. However, at the same time, Indonesian marine habitats are among the most threatened by detrimental human activities resulting in biodiversity and habitat loss. Indonesia has been identified as a global priority in all recent international initiatives to set targets for biodiversity conservation. The country has the chance to take full advantage of its enormous biological resources if it meets the challenge to achieve sustainability in their utilization. 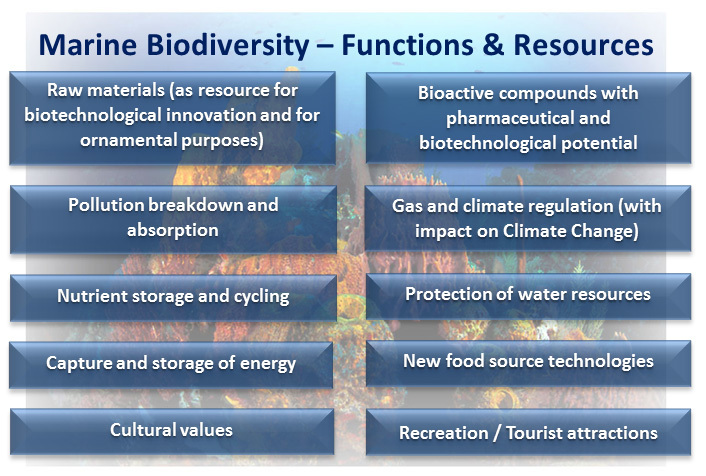 In order to secure functional marine habitats as a basis for future human well-being, innovation and survival, it is, therefore, imperative to establish and extend the scientific basis for efficient, knowledge-based marine biodiversity conservation and utilization. Among the major challenges for future marine biodiversity research in Indonesia are to monitor and counteract biodiversity loss as well as to develop strategies to make use of the as yet still existing plenitude of marine resources in a responsible and sustainable way. Despite this obvious need, research on marine biodiversity is still underdeveloped in Indonesia due to the lack of financial and infrastructural resources. Moreover, marine biodiversity research in Indonesia, most of the times, is scattered with very few concerted efforts. EMBRIO aims to counteract this by promoting national and international collaborations across scientific disciplines, making use of synergies that arise from cooperative endeavors of scientists with complementing expertise.